It is quite surprising that iTeleCenter has been on the market since 1992. Like a true virtual phone system veteran should, iTeleCenter keeps a steady pace in delivering and innovating its services. 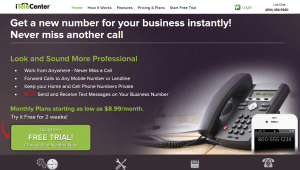 If you become a client of this company, you will get a service with over 50 features, including the option to choose any kind of number, and flexible call handling like call forwarding, screen & announce, unlimited call capacity and even an ad-tracker. The straightforward online dashboard displays your audio messages in written form, and lets you use your computer as a fax machine and customize your entire VoIP system with just a few clicks. And the iPhone/Android app helps you separate your business related calls from the personal ones even when you are out of your office. The four pricing plans only differ in a few things, but no matter which one you choose, you get your virtually unlimited service for cost-friendly prices alongside a 14-day free trial or even for free if you manage to refer friends to the company. 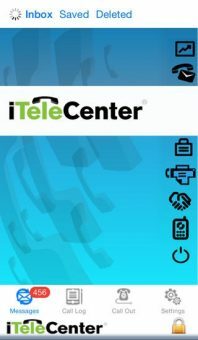 iTeleCenter is a multifaceted virtual phone system provider with many regular and extraordinary features that make your life hassle-free. You can easily forward, transfer, block and record your calls and get them displayed even if they are hidden. The company is built on a platform that virtually eliminates the possibility of busy signals allowing you and your company unlimited call capacity. The same is more or less true the other way around: in case of calls after business hours or the unavailability of a receiver, you can set up pre-recorded messages and programmable extensions to direct callers to the voicemail option. But there are more features like holding conference calls for up to 25 people, the option to receive your voicemails in readable format, ask the callers to identify the ad that lead them to you and getting detailed call reports. 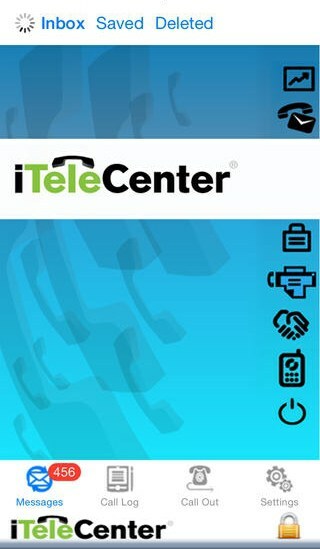 If you set up a number with iTeleCenter you will also get a simple and straightforward cloud-based computer interface (alongside an equally manageable iPhone/Android app) that is capable of not only handling call related actions, but more advanced things as well. The control panel from which you can access multiple other features at the same time is one thing that you’ll find in your online account. First of all, your computer can take the role of a fax machine. Second, it records the data of each and every call you make or receive and stores them in the cloud. Third, through integration, these recordings can be paired with names stored in an Outlook account or in the contact info of your iTeleCenter too. iTeleCenter includes various call handling features that are different from the usual ones like call forwarding, follow-me find-me, call blocking etc. to more advanced features like call screen & announce, placing calls and many more. However, even the basic features are quite impressive as even call forwarding can be programmed in a way that you have to answer calls outside your office only if you want to. This is also true for the call screen & announcement feature with which you can see and easily decide whether you accept a call or forward it to voicemail. Speaking of voicemails, you can set up multiple voice mailboxes at the same time, get push notifications of your new messages and missed calls via your smartphone, and even read your voicemails in written format or enclose them to an email as a voice recording. Conference calls (which can include up to 25 people at the same time) can also be recorded and downloaded in WAV format. You have other, smart options too: you can set up an auto-attendant, turn the afterhours mode on and off, customize your greeting message (and even the music), record your calls and/or make detailed reports thereof and easily create message taking extensions. The best thing is, however, that due to enterprise home bridges your callers never have to worry about busy signals anymore; in fact, they are automatically distributed to get to one of your co-workers as soon as possible. With the many features and options above and many more, using iTeleCenter is easy as pie even from a computer, where you can set up virtually everything. 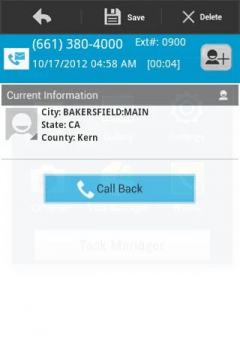 Even though you are unable to directly answer calls from a computer (as there isn’t softphone support), details and even the content of your calls can be preserved in online format for further analysis thanks to the neat online inbox. Furthermore, this is the only place where you can read deleted messages as well, because they are stored for an additional 60 days on your account. Your computer can also serve as a fax machine, allowing you to convert your faxes into PDF files or just simply receive, print, and send them without an actual device. You can precisely determine the caller’s phone number and enter it into the contact info of your iTeleCenter account or export it to your Outlook account with either the Name & Address Lookup feature or the Unblockable User ID. And, as a little extra, you can also put a Click-to-Call button on your website so your customers can ring you for a recall. 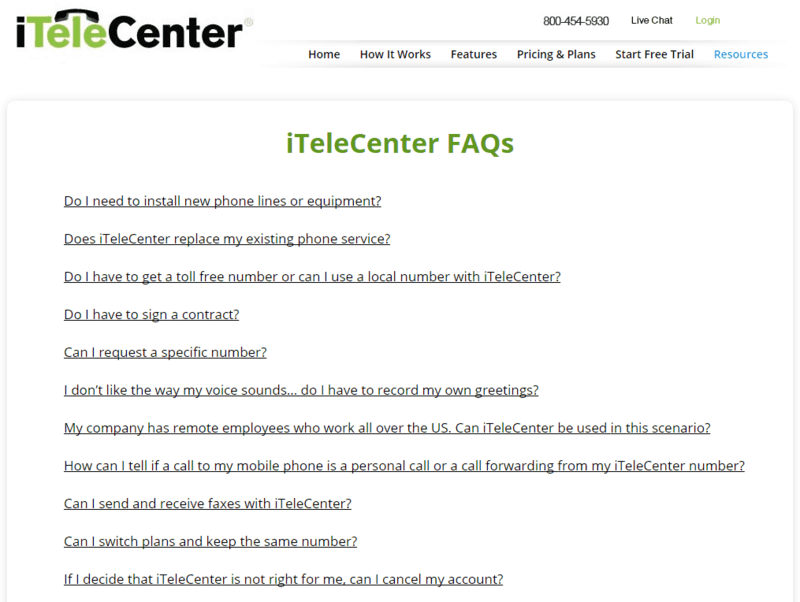 Getting a completely new phone number (you can get up to 4 depending on the subscription) is relatively easy with iTeleCenter. If you need a simple local number, all you have to do is just pick your state, the nearest larger city and you already have your number. Choosing a standard toll-free number is also easy: you just have to pick one of the 6 prefixes and iTeleCenter takes care of the rest. Furthermore, in the case of these toll-free numbers, you have the option to port over your existing number to the company – albeit for a $25 one-time fee and a few-day waiting time. You can set up true 800 or vanity numbers as well, but both of these numbers have a one-time activation fee of $25, plus vanity numbers may take at least 5–7 business days to be activated. Theoretically, iTeleCenter accounts can be managed from mobile browsers as well, but the company recommends the iPhone/Android apps instead. However, just like in the case of your desktop account, you must have an active iTeleCenter service plan to access your account. The apps, which have a rather straightforward interface with 4 major buttons (Messages, Call Log, Call Out and Settings), allow you to make business calls to numbers in your Inbox (or even a contact in your phone) and receive forwarded calls. You can also save contact info just like in the case of regular calls, receive push notifications about new messages or faxes, and view your inbox. 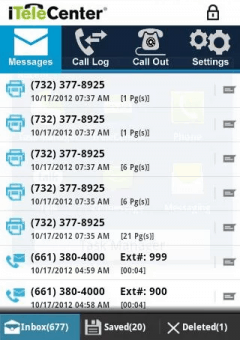 The apps are also capable of transcribing your voicemails and, most important of all, using your iTeleCenter number as the caller ID, hiding your true mobile number. Like we said before, iTeleCenter is capable of integrating with your Outlook account – but only on one way around. This means that you can get notifications of the messages, faxes and calls you receive in the iTeleCenter system and pair those messages with the right contact, but you cannot import your contact info into your iTeleCenter account. Other than that there are very few integration options. If you are willing to pay for the most unlimited subscription, you are entitled to integrate with as much third party software as possible. But if you have other subscriptions, the maximum amount of third party apps you can integrate with radically reduces to 25 tops. The good news is that no matter which pricing plan you choose from the 4 available options, none of the features will be limited. The bad news is: there are still grave differences between the pricing plans. The cheapest plan available is Starter for $8.99 per month with 3 extensions, 1 phone number, and $0.069 per each additional minute exceeding the included 100 minutes. The next option, the Basic plan, has 500 included minutes, 10 extensions and $0.059 per additional minute for $19.95 per month; the most popular Pro package has 1,500 minutes, 2 phone numbers, 25 extensions and $0.049 per additional minute for $39.95 per month; and the Premier offer is $99.95 per month for which you get 5,000 minutes, 4 phone numbers, unlimited extensions and just $0.039 per additional minute. Each plan comes with a 14-day free trial, but you have to provide your Visa, MasterCard, Discover or American Express credit/debit card data even before creating your account. This means that should you not be satisfied with the services, you have to cancel it before the trial expires, otherwise you will be charged. The same terms apply for regular subscribers: you can only terminate your account at the end of the month. Through iTeleCenter’s customer service you can ask for further support via email, snail mail, or phone on weekdays during the company’s business hours. There is a live chat option too, but keep in mind that getting an answer might take longer than expected and you need an account should you have any questions. If your question is not that pressing, however, you can read the FAQ (which only has 11 questions), the blog (which has not been updated since 2014), a separate page with 4 articles related to the company and social media accounts that have been dead for ages. The only decent additional support you can get is the company’s YouTube channel which is full of useful video tutorials. The more interesting thing is that iTeleCenter provides a refer-a-friend reward to active users. All you have to do is recommend the company’s services to 3 other people, and if they choose the same subscription as yours (or a better one) plus they remain after the 14-day free trial, your monthly fee is entirely waived. 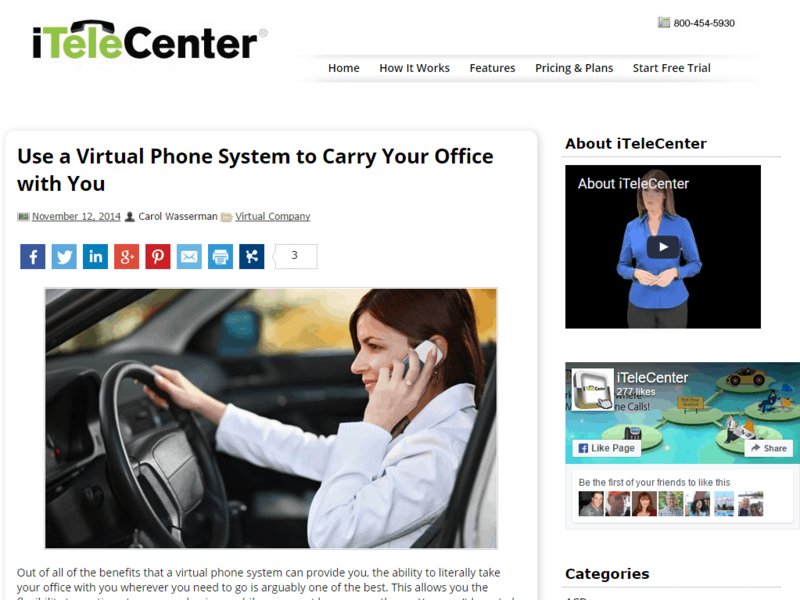 If you need a trustworthy virtual phone system provider then iTeleCenter is definitely a good choice, despite a few hiccups. Activating a simple number, choosing a specific one or porting over an existing number costs an extra, and your extension options with cheaper pricing plans are limited. 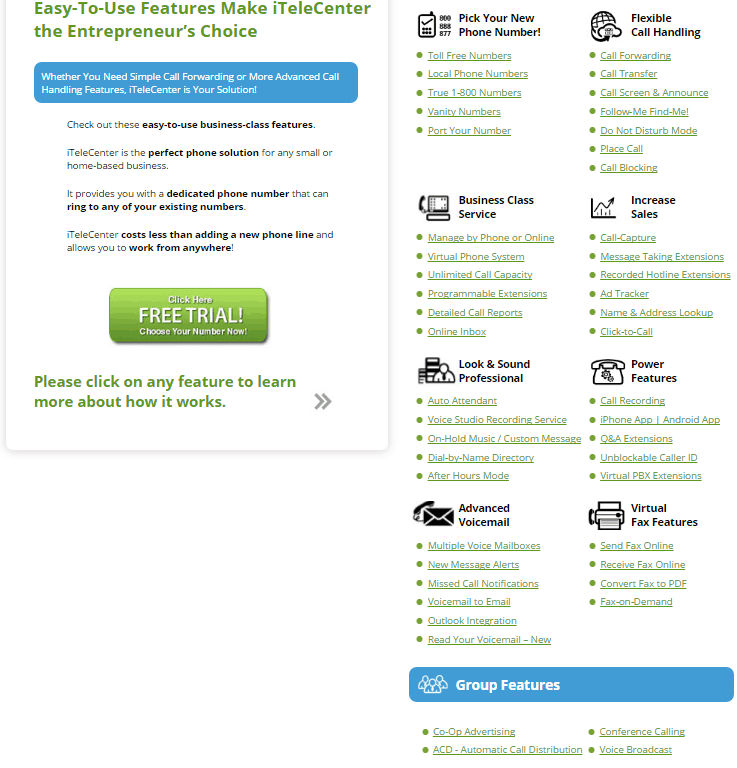 Customer support is beyond average with numerous, but lackluster support options. However, iTeleCenter’s VoIP and complementary features are truly amazing, only missing few things like the softphone feature and HD voice, and the ability to make international calls. The iPhone/Android apps are superb and the pay-as-you-go pricing plans, which only limit you in a few things and provide 14-day long trials, are very good. 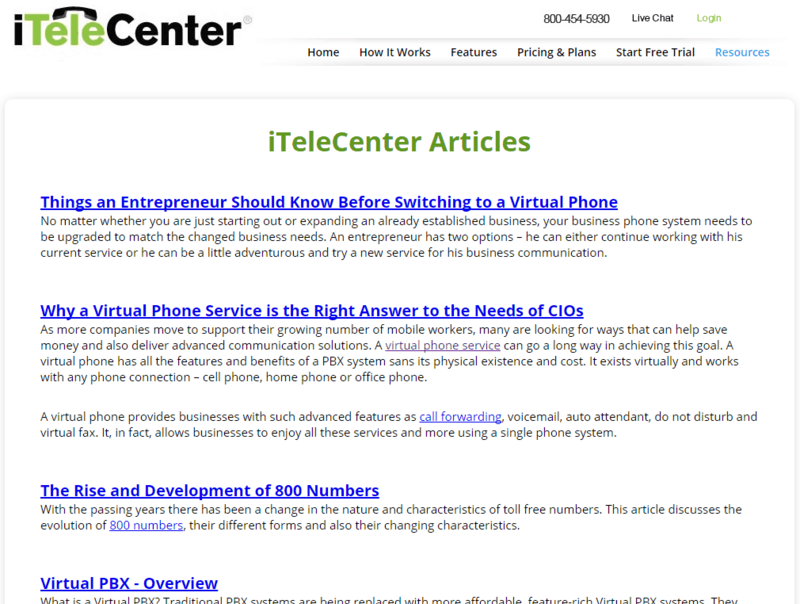 The plethora of features, alongside the cost-friendly prices, show that iTeleCenter is worth checking out. So its now 2 weeks we’re in May now and Still no service…. Im allowed to set everything up.. extentions recordings etc… but still no phone service. Gonna switch to VirtualPBX ASAP as soon as these clowns finish porting my number. BTW they don’t have automated attendant recordings you need to record your own or BUY voice overs for an additional fee. They advertise call blasting.. which is ringing multiple numbers at once to locate you, but that’s not possible in the settings. your only allowed 5 numbers one at a time. Beyond Disappointed as I needed this number set up as soon as I signed up. Now my business number says “out of service” which is horrid for my customers to hear. and I cant port it to a new company till these clowns finish their porting. Ohh and my 14 day free trial… Already used up before I even got to try the service. Stay away from these people and go with a more reputable co.